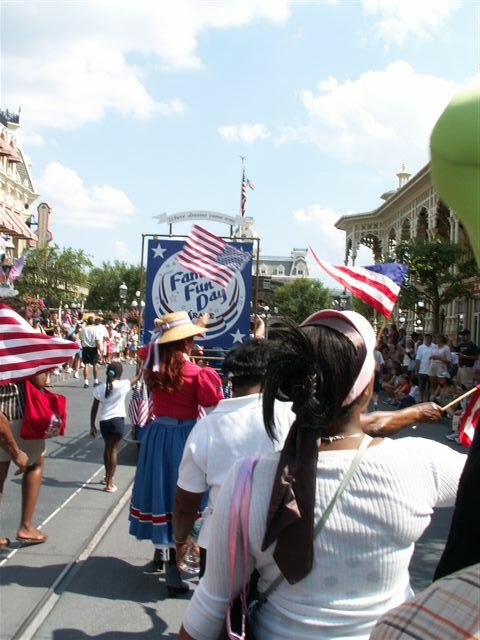 Almost just as the Dans were headed off stage an announcement came over the speakers that those wanting to participate in the Family Fun day parade should go to the hub, I wasn't sure if they would take folks who were by themselves (rather than traveling as a "family" group) but, I figured it couldn't hurt to check, and it turns out they were glad to have me. 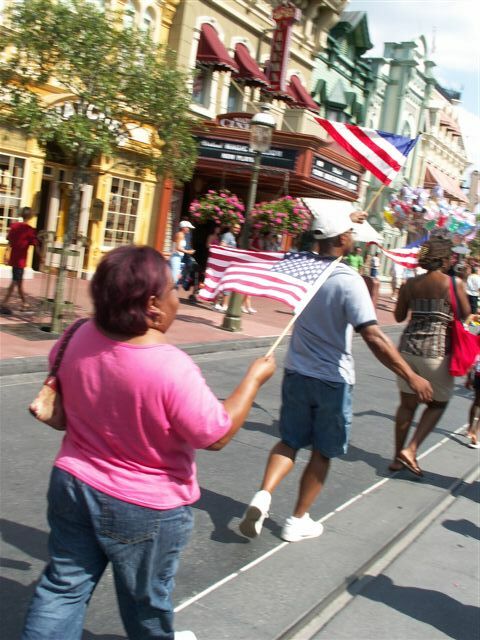 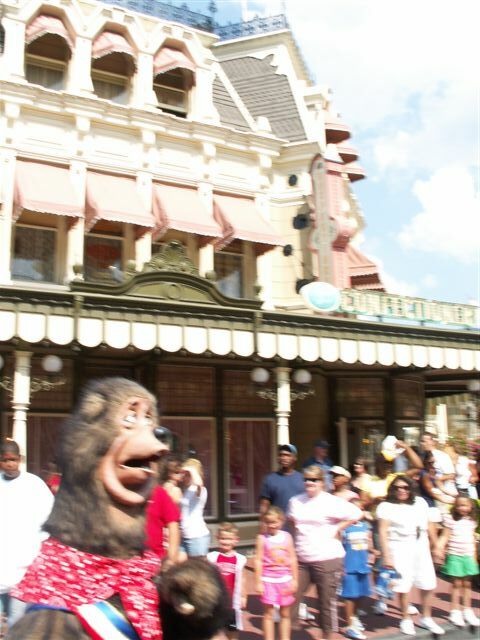 I had taken some photos of the Family Fun day parade in December and gave an account of it at that time in my Mousefest 2006 trip report, of course that viewing was standing outside of Town Square looking in, so this was a new angle on this parade for me. 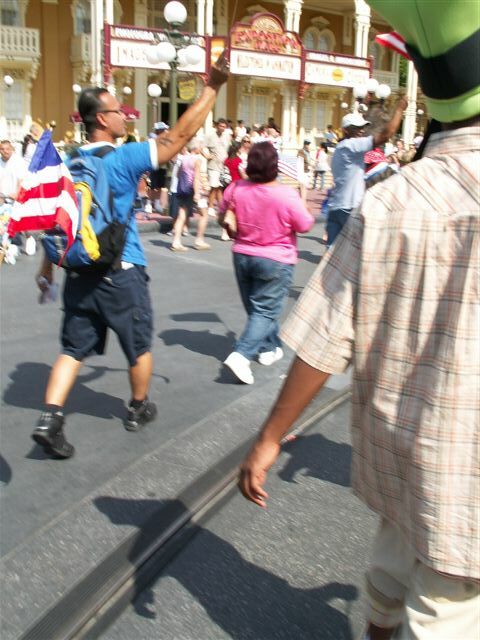 Since I was using one hand to wave my red, white, and blue pennant in time to the music I was taking pictures with the other hand, not holding the camera to my face just holding it up and pushing the button, so a lot of the pictures are at crazy angles, still it gives you some idea of how this parade runs. 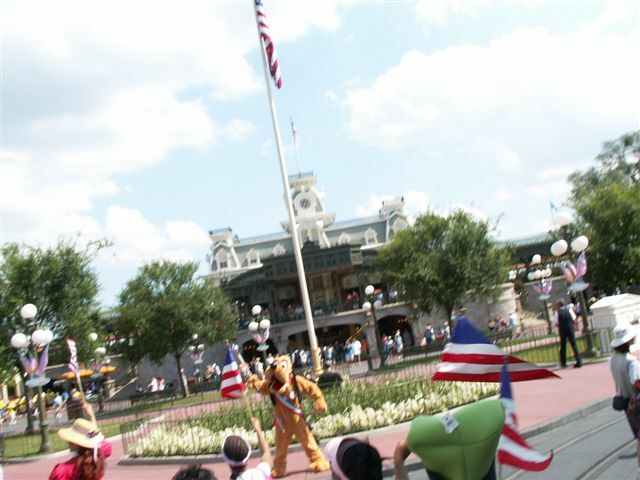 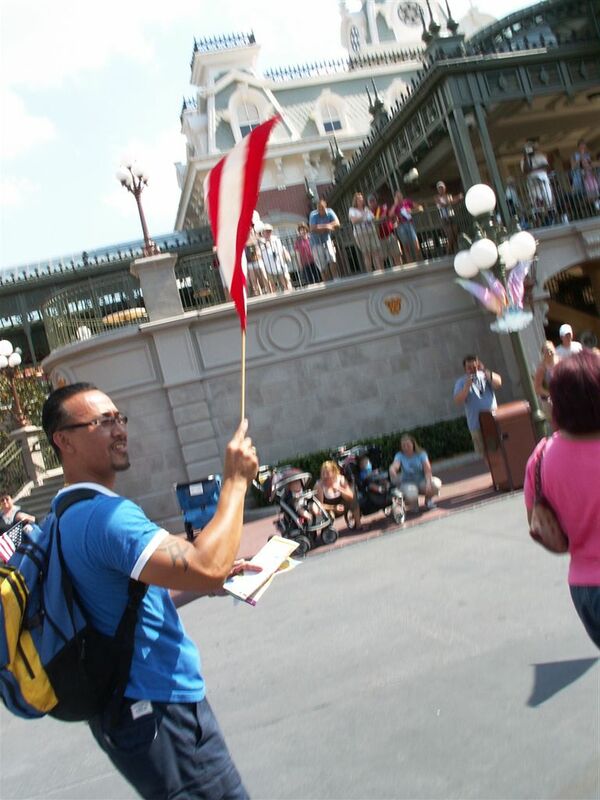 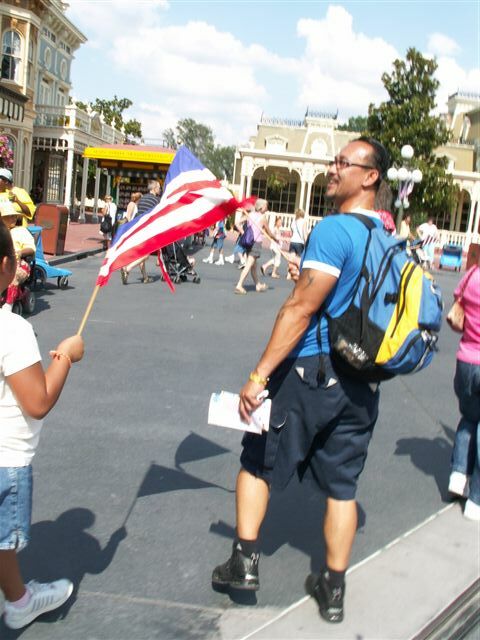 You will see that as we get to Town Square we march all the way around the square and end up facing back towards the castle, at that point we exchangesd our pennants for small flags. 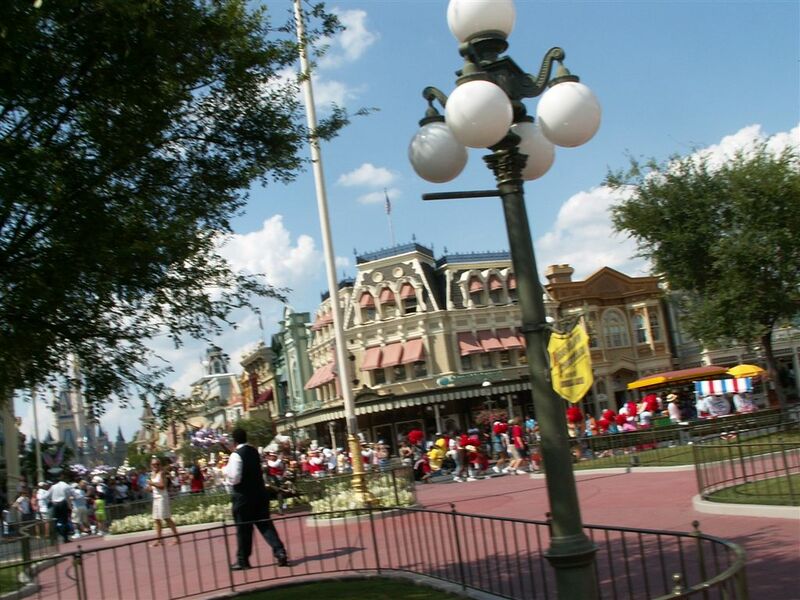 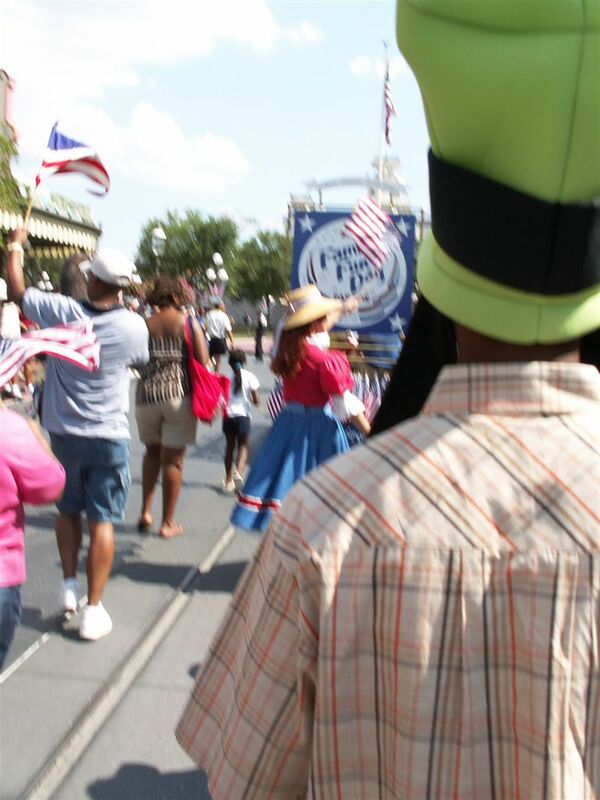 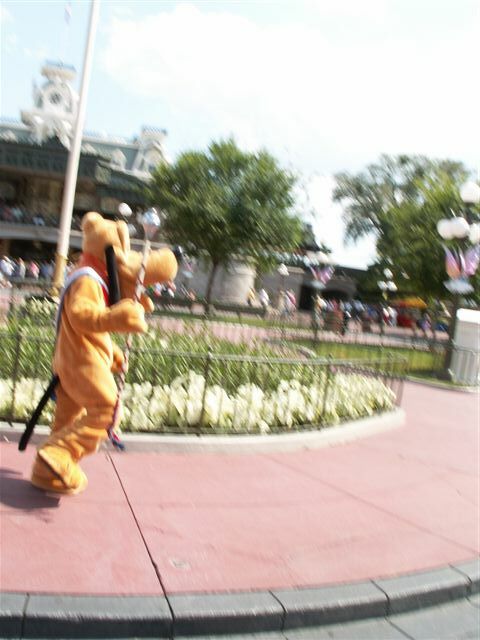 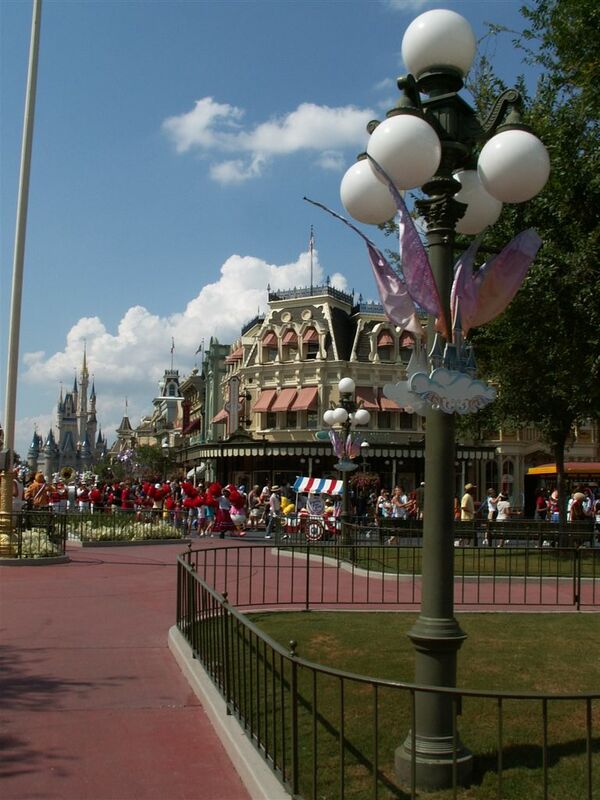 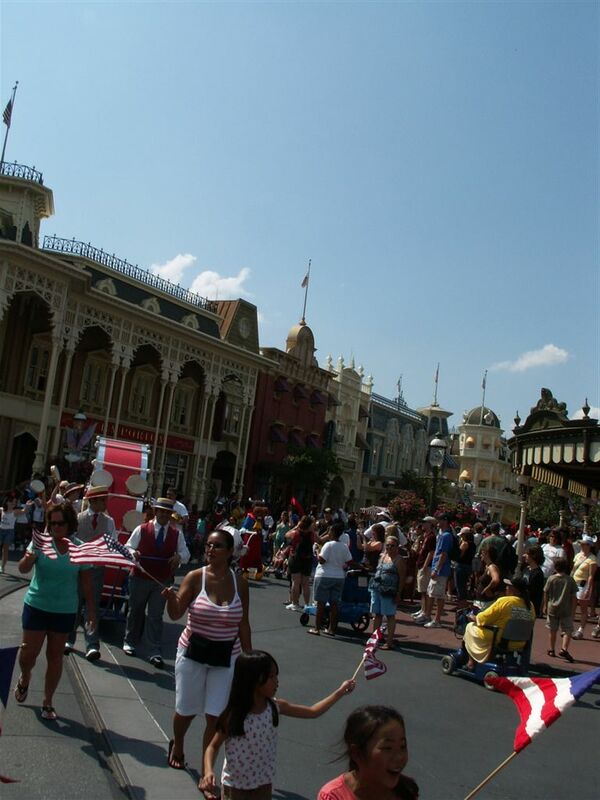 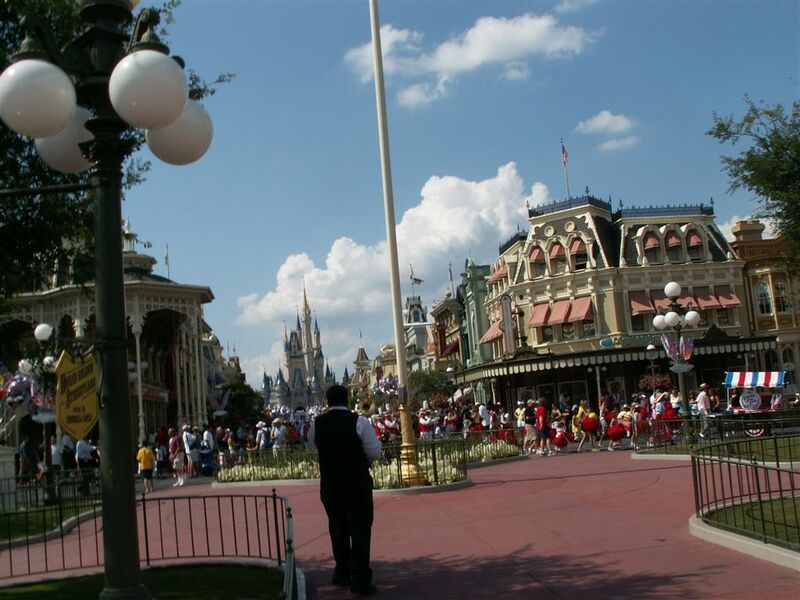 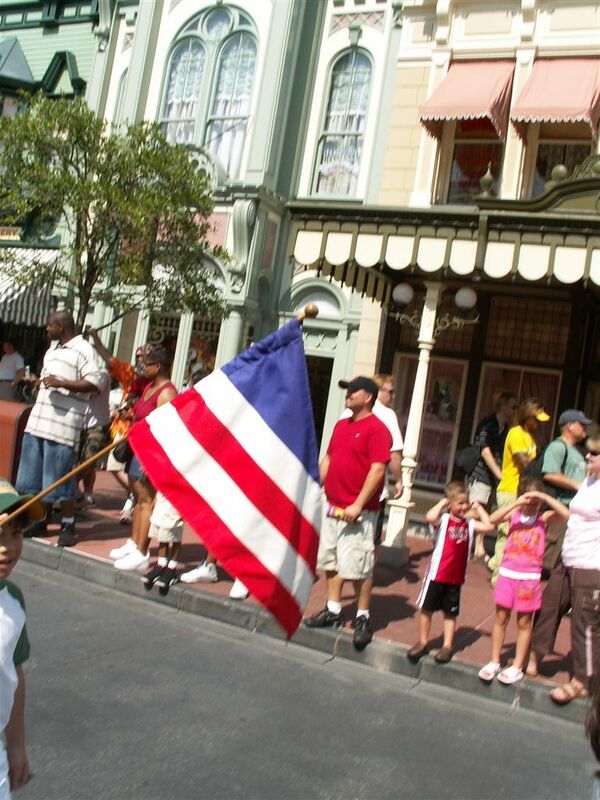 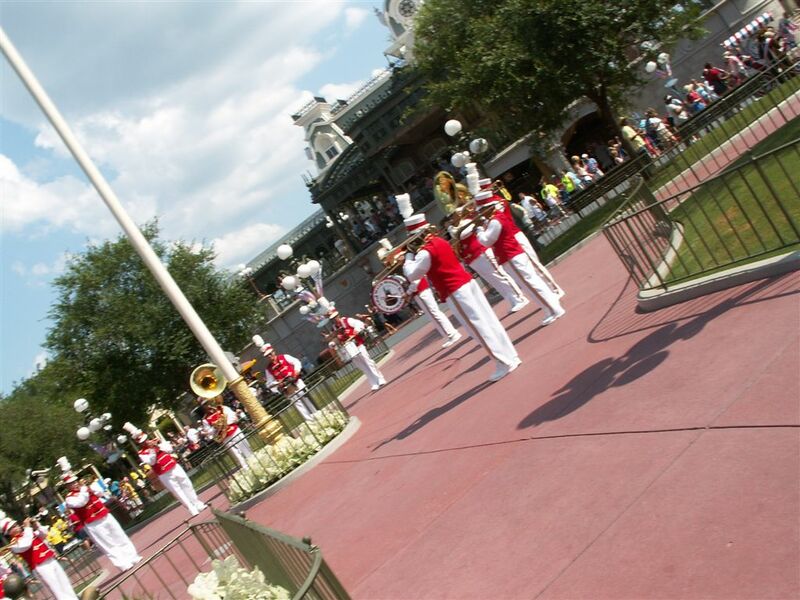 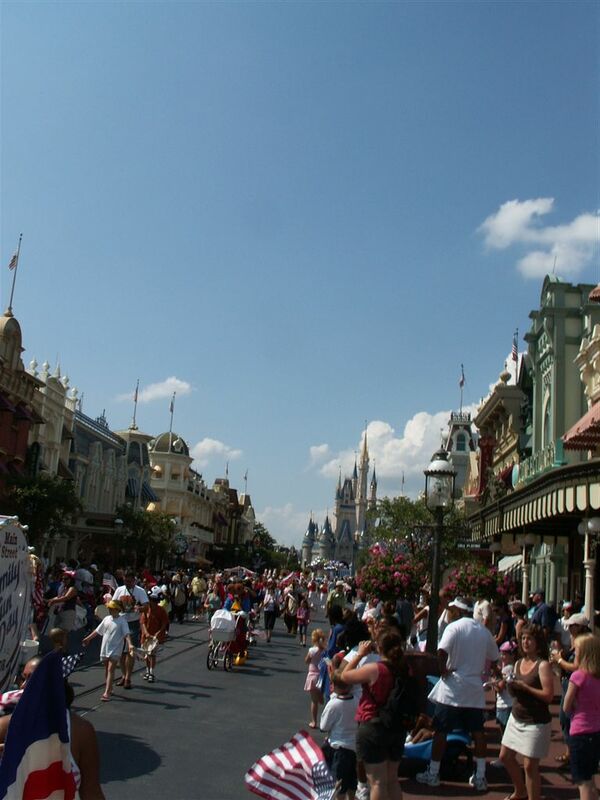 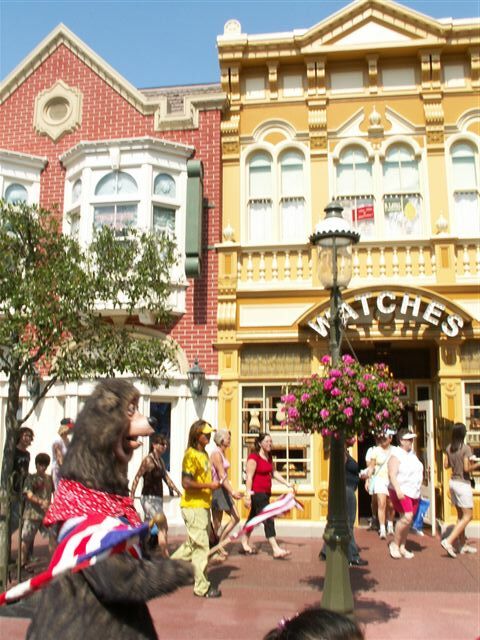 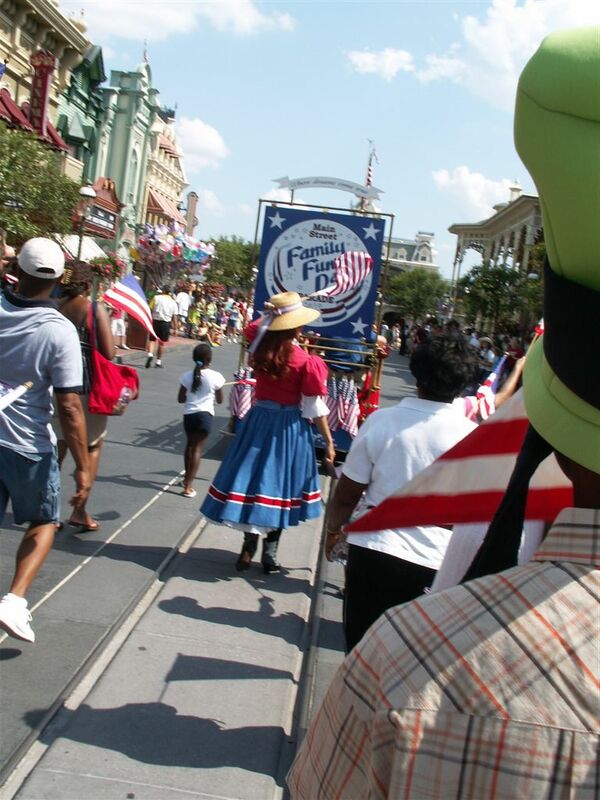 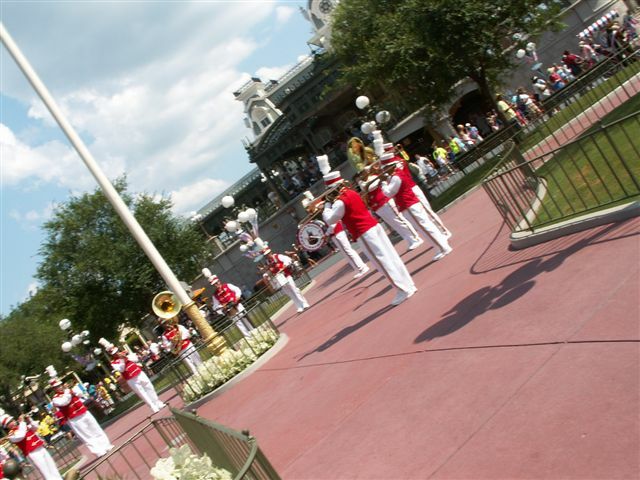 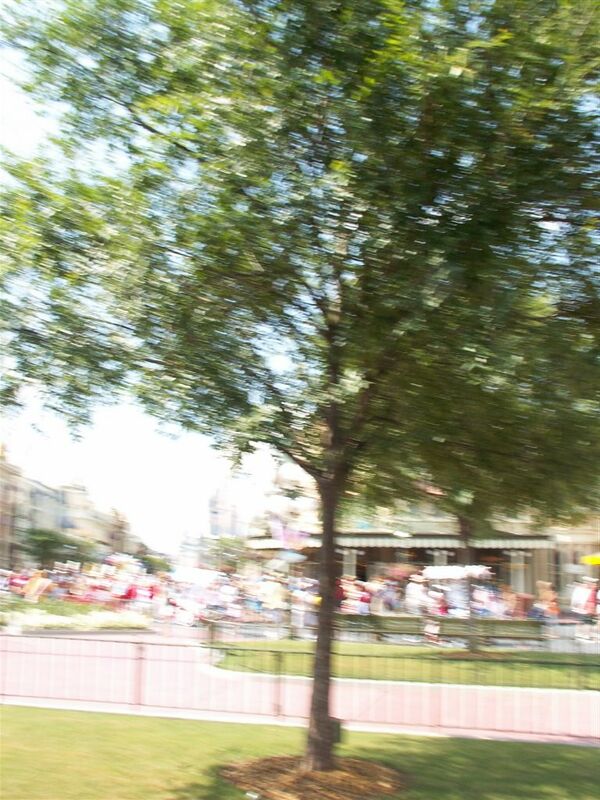 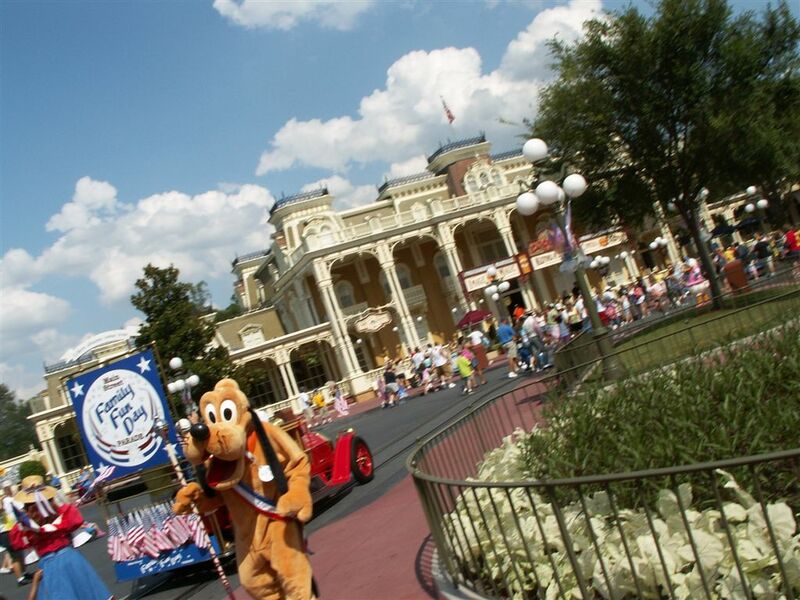 You can also see from these photos that the Main Street philharmonic follows up at the end of the parade (I was unsure about where exactly in the parade they fell when I wrote the page on the viewing at Mousefest 06). Even though I lost the audio from this I at least still have the audio of this event from December.